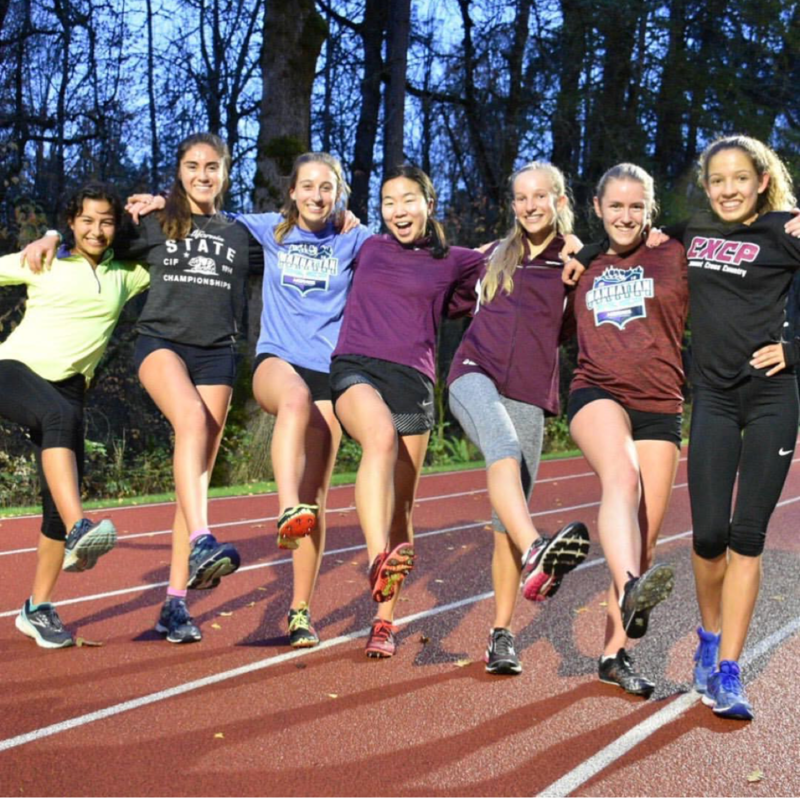 Walnut senior Chloe Arriaga and the Claremont girls team competed last weekend at the Nike Cross Nationals in Portland, Oregon. NXN brings together teams that qualify directly from regions and through an at-large selection process and individuals who advance through the same process. The Wolfpack advanced on the strength of their win in Div II of the California State meet, which placed them second in a merge of the top teams from the event. Chloe advanced individually by finishing 4th in Div I and 6th overall. This meet is part of huge event put on by Nike for the athletes that includes meet ups with professionals and tours. It’s run on a 3 mile course at Glendover Golf Course. CHS frosh Maddie Coles was again her team’s top performer, finishing 43rd overall and 12th among the athletes from teams in 18:00 – fourth among Californians in the meet. Next up was Arriaga, finishing 61st overall and 9th among Californians in 18:13. Claremont was a little more spread out than usual, with a 1:17 spread from Coles to their number 5, but that was more of a measure of how well Maddie ran rather than a the other girls falling back. They finished 12th overall, ending another outstanding season.